We optimise development proposals and provide risk management strategies. 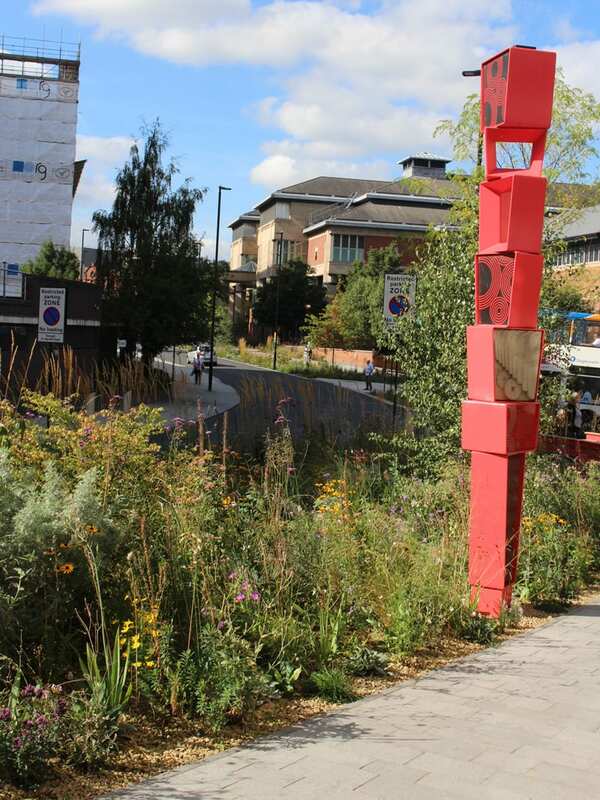 Hydraulic modelling informs many aspects of our core business including flood risk investigation, flood risk assessment, feasibility studies, drainage design and drainage area planning for public and private clients. Modelling, in conjunction with hydrological analysis, allows determination of flood extents, levels, depths, velocities, and overland flood routing. Modelling may also be used to determine scour, sediment and pollution dispersal. Our experienced engineer led teams guide clients throughout the modelling process ensuring that outputs provided are effective, convenient and fit for purpose for the project aims and targeted end users. We use modelling where appropriate to optimise development proposals and prove risk management strategies. Increased detail in modelling can provide greater confidence in results, offering design refinement and potential long term savings compared to conservative measures that may otherwise be needed to make up for uncertainty in capital projects and developments. Hydraulic models enable a variety of ‘what if’ scenarios to be explored and as such are proving to be important tools for water companies and local authorities to develop solutions and strategies to deal with current or future drainage issues, as well as helping developers prove that flood mitigation will be effective. We have an extensive suite of 1-Dimensional and 2-Dimensional hydraulic modelling packages at our disposal, and a team of high experienced modellers and engineering hydrologists. We license the following packages and can advise on the most appropriate use of each. River modelling / fluvial flood modelling – ranging from highland spate rivers to highly modified urban watercourses, to inform flood risk assessments, flood map challenges, and flood investigations, using 1D, linked 1D-2D, and full 2D models. 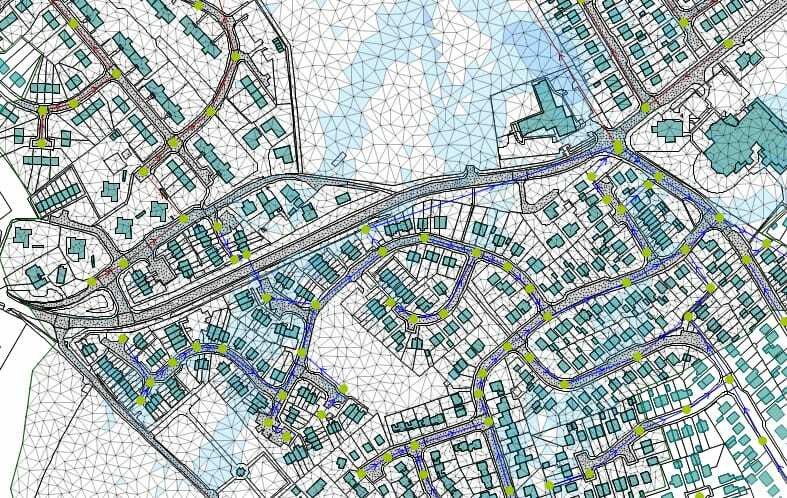 Integrated Urban Drainage Modelling – combining river, coastal, sewers and surface water flooding to allow combined probability analysis and appraisal of complex flood mechanisms and alleviation options. 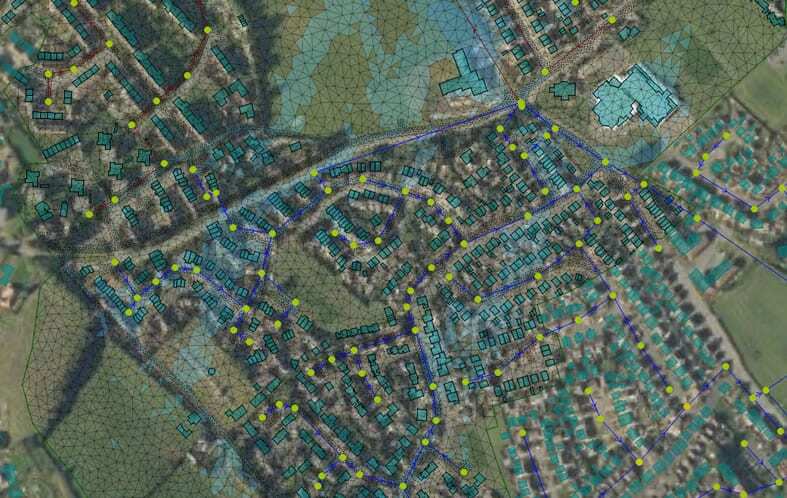 Sewer modelling – for design of conventional and SuDS drainage systems, and to inform complex Drainage Area Plans, using Infoworks and Microdrainage WinDes. Model updates – particularly in relation to stress testing existing flood models in relation to revised EA climate change allowances. Model peer review – as required by a number of local authorities in relation to modelling for flood risk assessments. Model audits – Hydraulic models are important decision making tools and as such it is important that they are built to high standards and the methodologies used are appropriate to the client’s requirements. To ensure that models are “fit for purpose” we are able to offer independent audits at any stage of the build and verification process to local authorities and water companies. Specialist Sub-consultants – Our niche skills mean that we are happy to offer our services as specialist sub-consultants to design teams and civil engineers for multi-disciplinary projects.